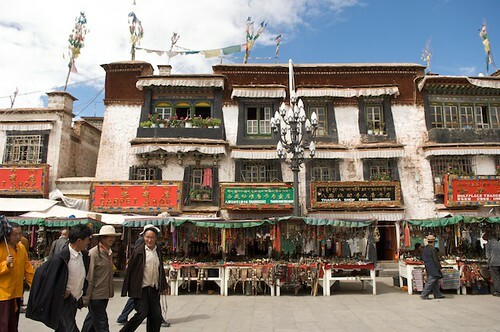 The Jokhang itself is a complex of connected four story buildings. Visitors are allowed to wander almost anywhere they want, but the most interesting place that I found was the roof. From here you can see into the courtyard, the plaza in front of the building and all over Lhasa. 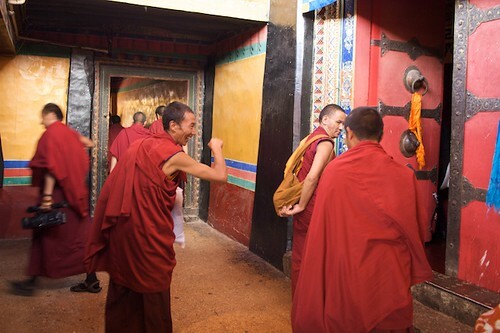 You can also mingle with visiting and resident monks and nuns, and see some of their living chambers. On top of the Jokhang is an eight spoked dharma wheel and two golden deer – found on top of every monastery in Tibet. The eight spokes represent the Eight-Fold Path – the way to enlightenment. The deer are humble reminders that the Buddha’s first sermon was in a deer park. Tibetan nuns visit another in her quarters on the roof of the Jokhang in Lhasa, Tibet. 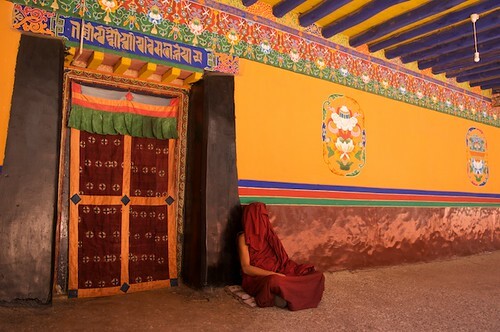 A Tibetan monk finds a quiet place to rest on the roof of the Jokhang in Lhasa, Tibet. Tibetan monks joke as they gather for a chanting session in the Jokhang in Lhasa, Tibet. 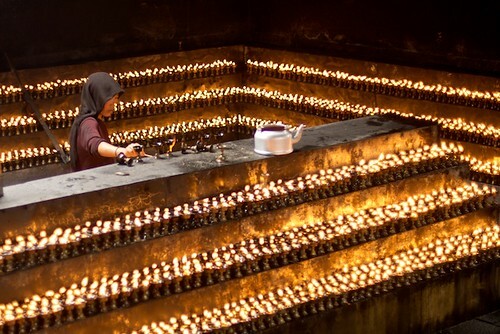 A Tibetan nun lights hundreds of prayer candles at the Jokang, Tibetan Buddhism's most holy temple. Lhasa, Tibet. 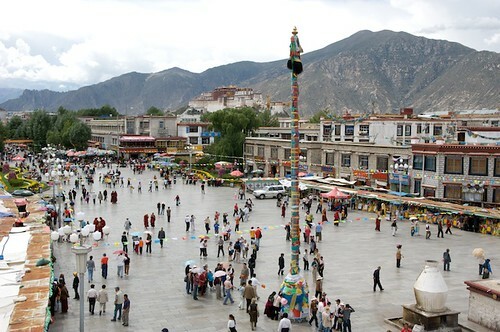 Barkor Square as seen from the roof of the Jokhang in Lhasa, Tibet. The Potala Palace can be seen in the distance. 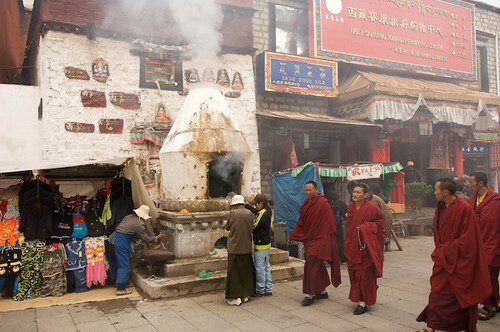 Around the Jokhang is an area called the Barkor. 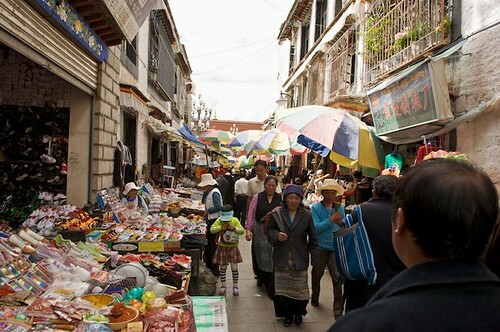 It’s a circular pedestrian street that is filled with pilgrims and surrounds the Jokhang. The pilgrims are there to walk koras – clockwise walks around holy centers. They’re also there to socialize and buy from from the hundreds of vendors that line the Barkor, and have been for hundreds of years. The greater market area of the Barkor stretches out for many blocks in all directions. I found these alleyways to be teaming with humanity and infinitely interesting. If you’ve come to Lhasa to see old Tibet, this is where you want to be. 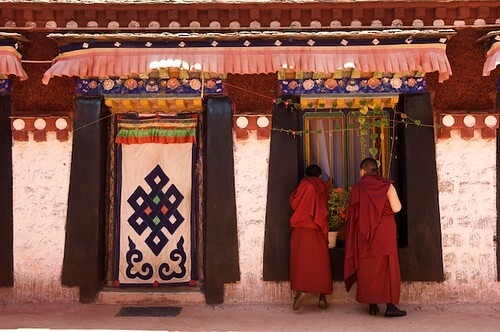 You can buy all kinds of souvenirs like prayer wheels and prayer flags and my favorite, Tibetan door coverings that can be found hanging across every door in Tibet. 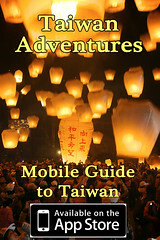 This area is also a good place to try some Tibetan buttermilk tea and local foods. 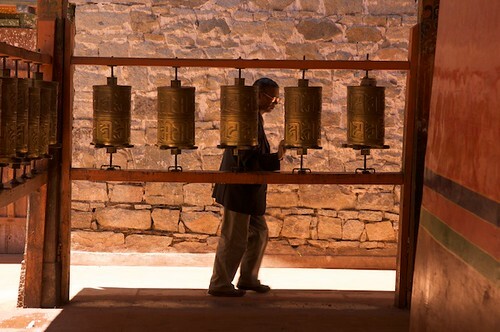 A Tibetan man spins prayer wheels in a monastery near the Barkor in Lhasa, Tibet. 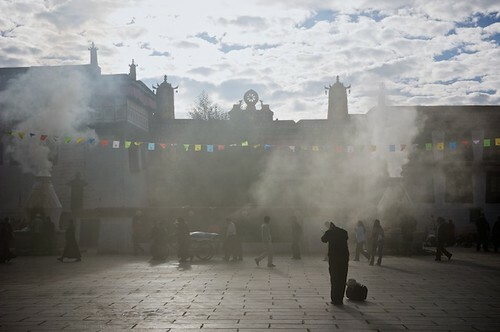 Tibetan monks pass a juniper incense burner on the Barkor in Lhasa, Tibet. 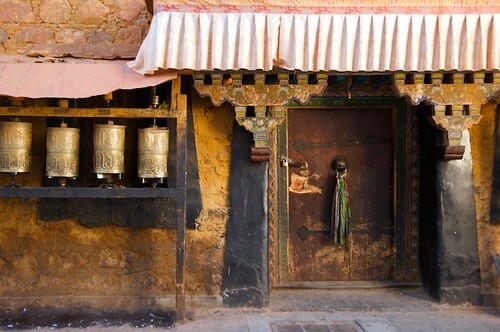 The entrance to a small Buddhist temple, found on the Barkor in Lhasa, Tibet. Pilgrims and tourists pass vendors selling traditional Buddhist items on the Barkor at the Jokang Monastery, Lhasa, Tibet. 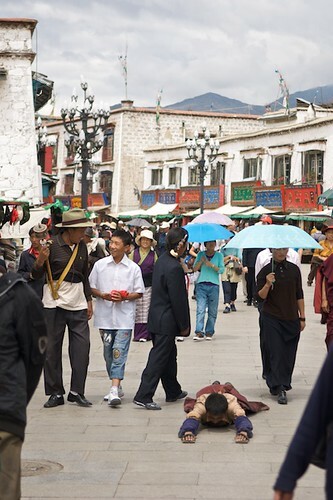 A Tibetan Buddhist pilgrim prostrates himself on the Barkor, in Lhasa, Tibet. A smaller alleyway found near the Barkor in Lhasa, Tibet. 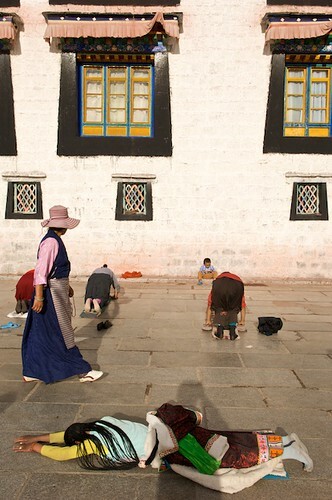 Tibetan Buddhist pilgrims prostrate themselves before the Jokang, Tibet's most holy monastery, in Lhasa, Tibet. 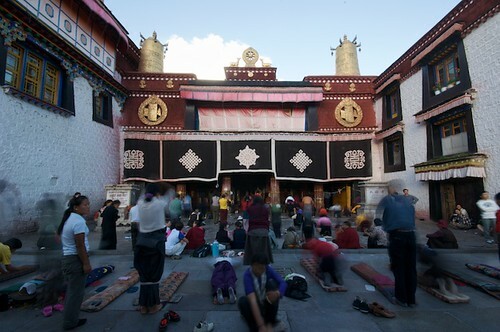 Tibetan pilgrims worship in front of the Jokhang by prostrating themselves repeatedly. Go here to see more photos from the Jokhang and Barkor. Go here to see many more photos from Tibet. This is the seventh article on my travels to Tibet. The next will also be about Lhasa – The Potala Palace and Norbulinka. The last was about Yushu, far away from Lhasa in Qinghai Provence. The rest of the articles can be found here. Thanks Sheryl. I stayed in a hotel just behind the Jokhang on the Barkor. So every time I entered or left my hotel, I was in the Barkor! (I actually feel like I didn’t cover it well enough!) I have two more posts coming from Lhasa: One from the Potala Palace and the Norbulinka, and another from places I visited in the near vicinity. The picture with the prayer candles is beautiful. You captured the moment well. I love the colors in these pictures: all the murals on the buildings. Traveling to Tibet must have been an amazing experience. Thanks again for sharing these images! This is on the top of my to-go list, and these picture just affirmed why, thank you. Thank you for sharing these amazing images and the story of your experience. Lhasa fascinates me, and I hope to make it there in the next few years. Thanks Charlene. I hope you get there too. If you do, try to get outside of Lhasa for a days or two, there’s a completely different vibe outside of the city. I’ll try to have some posts up from those areas soon. Great to see such amazing photographs. Isn’t it quite amazing to see such activity seeing from the Buddhist devout inside the monastery.